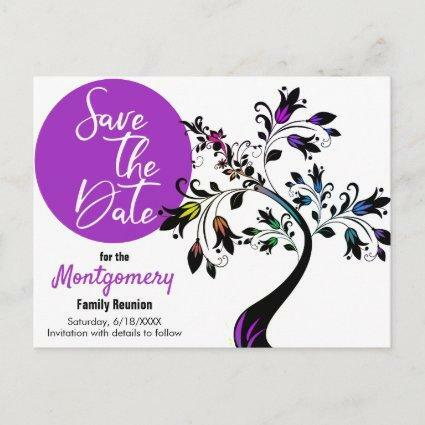 Family tree designs are a popular images for family reunion save-the-date announcements, invitations and souvenir keepsakes. 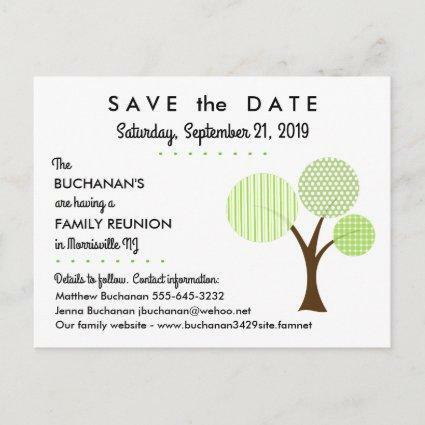 We think our attractive tree made of multiple patterns in blues and greens provides a memorable one-of-a-kind image for your save the date postcard. 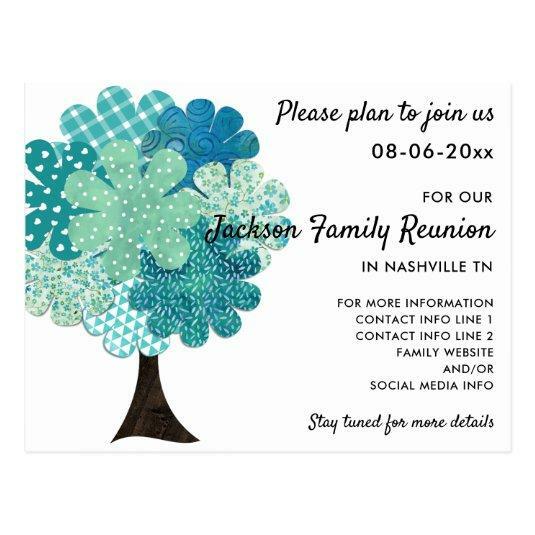 We&#;ve added the extra bonus of our tree design on the address side or reverse side of the postcard. 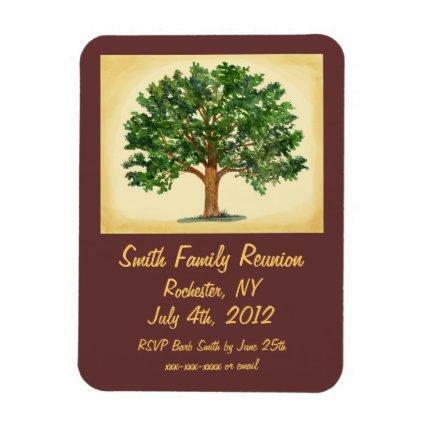 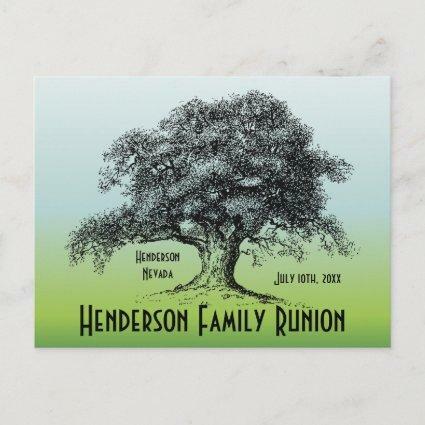 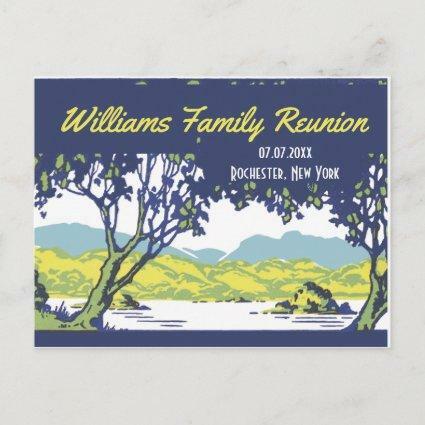 See more of our Family Reunion Pattern Tree Collection at Genealogy Greetings here at Zazzle.